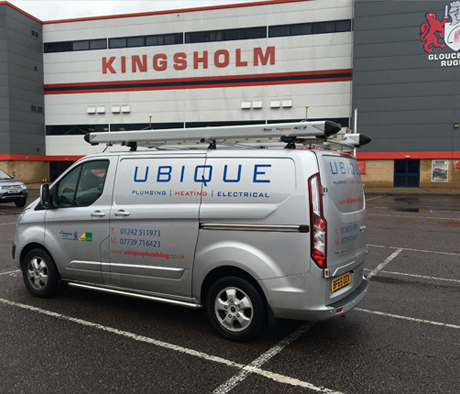 Ubique Plumbing Heating Electrical Ltd provide fully qualified plumbers, gas engineers and electricians in Cheltenham and around the Gloucestershire area. We are accredited Worcester Bosch installers, members of NAPIT, Gas Safe registered and members of Corgi Gas. Because we cover all aspects, you'll only need to call us to sort all your electrical, plumbing, heating and gas requirements, no need for separate companies and multiple invoices. 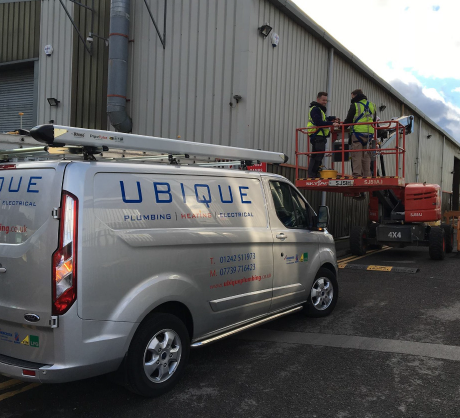 From installing new bathrooms for staff and customers or if having an issue with your commercial buildings plumbing including leaking taps, broken toilets then Ubique can quickly respond to your requirements. We provide a prompt partnership service for our commercial clients meaning you get the problems solved quickly and efficiently. Does it take a while for the central heating in your office or commercial building to heat the room? If so you could benefit from making the system more efficient by adding a magnaclean filtering system and power flushing. Both these system remove the build-up of iron oxide sludge from your pipework and radiators making your system more efficient. If you are having problems with your current cylinder we can also service and repair your system. Is your commercial property supplied with Gas? A new gas boiler could increase the efficiency of your system and save your money. 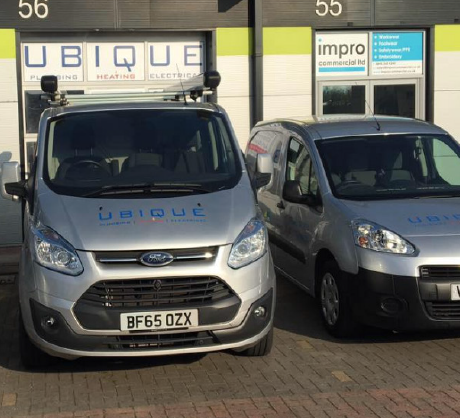 No job is too big or small for our team of skilled gas engineers, from installing gas appliances to full boiler installations, Ubique can help your business save money and be more efficient. Ubique are a one-stop shop for all your needs including electrics. 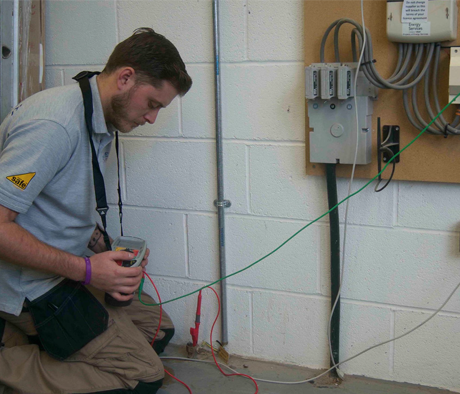 We have specialist electricians who can handle all of your businesses needs. We find this espeically useful for business owners as you save both time and money by using just one company rather than having multiple contractors.